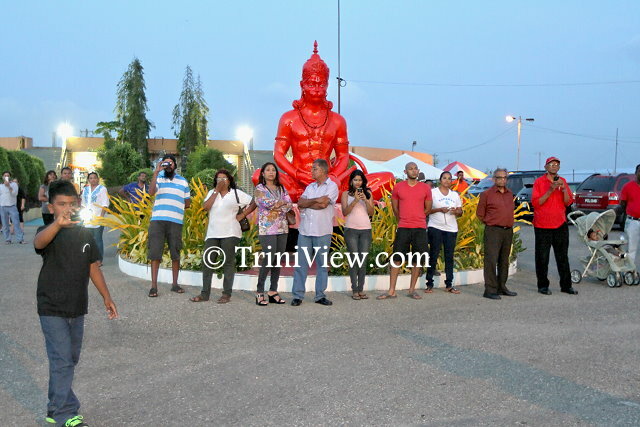 On Friday 20th June, 2014, Heritage Radio 101.7FM hosted the first ever Bhandari Festival in Trinidad at the Divali Nagar Site, Endeavour Road, Chaguanas commemorating the 169th anniversary of Indian Arrival to Trinidad and Tobago. 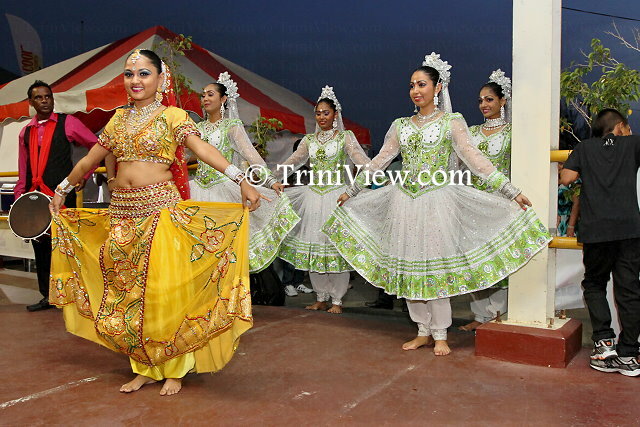 The festival, which also celebrated the Indian contribution to Trinidad and Tobago culture, was a fun-filled day for the family and was free to the public. The event, which started about 11 a.m. and ended around 10 p.m. included a motorbike and motorcycle parade, live entertainment and a food court. 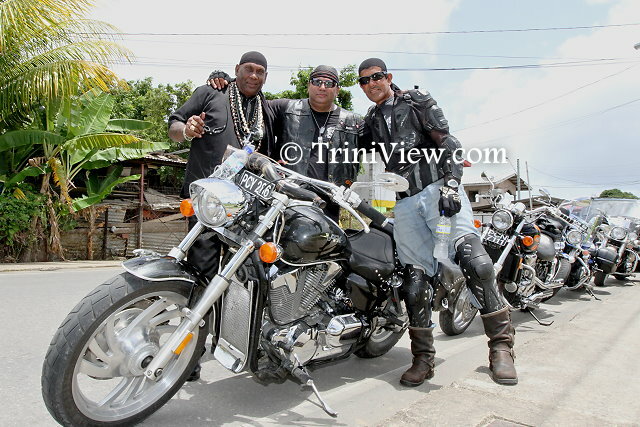 The day began with a bicycle and motorbike parade from the Mid-Centre Mall and proceeded through the streets of Chaguanas. About mid-way through the parade, the cyclists and bikers stopped for a brief cool down where they were provided with water, cold drinks and fruits. The parade continued in spite of the inclement weather to the Divali Nagar Site. 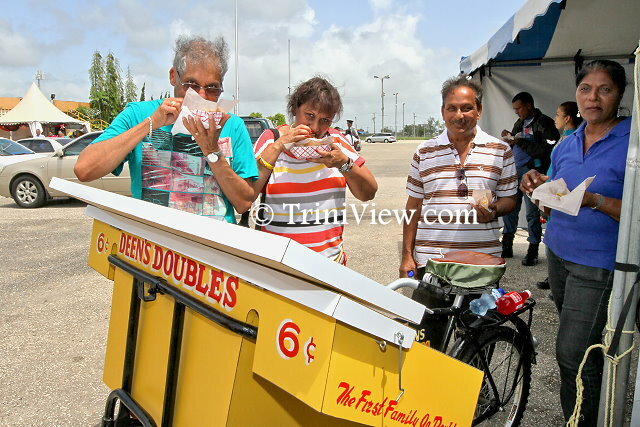 The bikers and cyclists, together with their supporters who followed the parade, were greeted at the entrance of the Divali Nagar Site and treated to the popular Trini “doubles” and red solo soft drink. After their meal, old friends and family members made their way to the food court which had a wide variety of traditional Indian dishes including roti and pholourie. The event also featured a re-enactment of a traditional Hindu wedding by members of the Heritage Radio team which started around 5.30 p.m. where the dulaha or groom, Rishi Sinanan, was accompanied by his sarbala (a young boy who escorts the groom in Hindu wedding tradition), seven year-old Chris Mohammed. 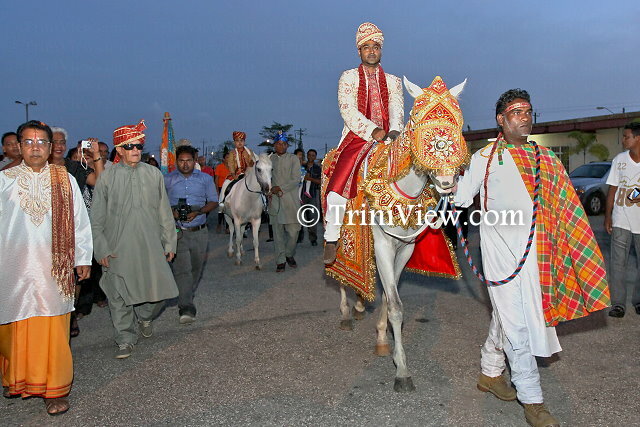 Although both dulaha and sarbala rode white horses to the meet the bride, Heritage Radio announcer Crystal Kissoon-Sinanan, it was the former’s horse that was decorated in brightly studded gold cloth with red and orange undertones. 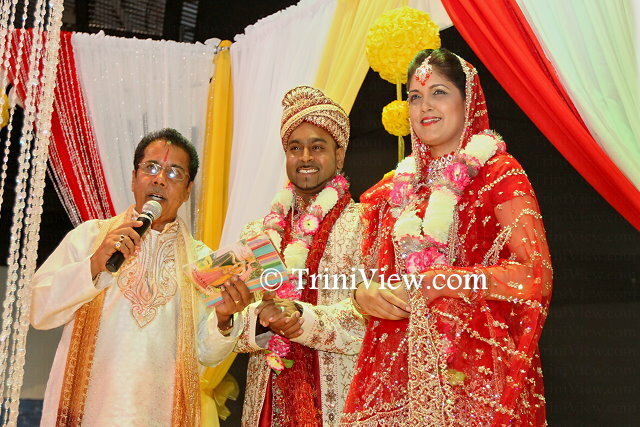 This enactment provided a pretty spectacle to curious onlookers from Avidesh Samaroo Park, Endeavour Chaguanas, through Price Plaza, and down Narsaloo Ramaya Road where dulaha would meet dulahin (bride). Upon entering the compound with music truck and tassa drummers in tow, the groom, followed by a small entourage or baraatis, most of whom rode behind in their cars, was greeted with Tassa drumming from the bride’s side. The mock Hindu wedding ceremony was then performed under a mandap (alter) and presided over by Heritage Radio announcer Pundit Chrisendath Ramdhanie Sharma before a packed audience. Additional entertainment at the festival was provided by the T&TEC Gayatones with Andy Singh, Nadia Nadoo and Nishard Sult, the bmobile Shiv Shakti Dance Company who performed traditional Indian wedding dances, classical singer Nirmala Sasenarayan, Josh Peters, Simon Mendoza, Zamin Mohammed, Christendath Ramdanie Sharma and Heritage Radio singers. Contact us about covering your special event.